We are seeing a lot of geological events happen in a very short span of time. Large and sometimes devastating earthquakes have struck from Asia to Ecuador, and video released from Yellowstone is leaving people wondering if the super volcano there is about to blow. Now an earthquake swarm is hitting, of all places, Arizona. 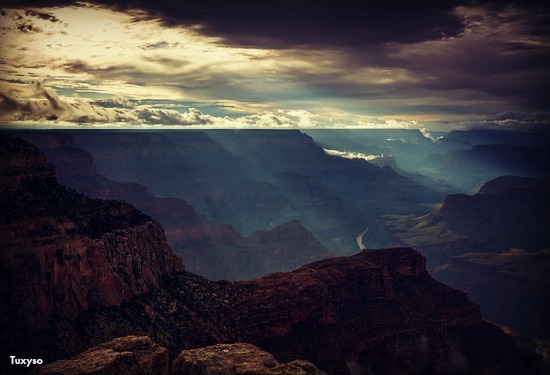 Since March 29th, the home to the Grand Canyon has been seeing and uptick in small earthquakes. Over 20 have hit, including this weekend when two hit including a 2.6. A 3.4 hit back on April 8th. The largest earthquake to hit Arizona on record was 5.6 which struck the Arizona-Utah border back in July 1959. Scientists attributed that quake with a rockslide, however. Geologists say they aren’t sure what’s causing this new uptick in Arizona earthquakes.